Mohambry founded TajEmo Enterprises in 2010 with a background of 43 years in technology ranging from Software Development, Project and Business Management and IT Management, and Technical Business Analysis in a wide variety of business applications. Mohambry also specialises at integrating Managed Application Services seamlessly into enterprise IT operations and working closely with the clients to ensure a tailor-made fit for the solution. 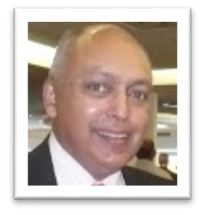 Mohambry and his robust Advisory Board, created a completely new approach to patient care by embracing electronic health records thus creating TajEmo eHealth a comprehensive medical practice management tool. Outside the office: Mohambry also enjoys spending time with my wife and two daughters and 4 grandchildren, reading, travelling and enjoy rugby, soccer and cricket and most sports. Passionate about: Mohambry is passionate about Putting sophisticated and secure health information tools in the hands of practitioners, patients and researchers. Saving lives directly from TajEmo eHealth application being used by every patient in the continent of Africa. Craig joined TajEmo Enterprises in 2011 with 10 years IT experience. 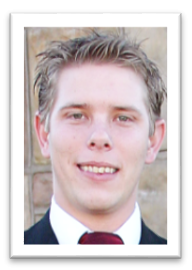 Craig has worked in Sales and Marketing and Software Support, Development and Web Development. With a strong background in customer support Craig is the hands-on man in the company. Craig’s focus is always on delivering great service and quality solutions. Craig has honed his desire to constantly impact the bottom line and help the business succeed with strategic application of its IT resources. Craig specialises in integrating Managed Application Services seamlessly into enterprise IT operations and working closely with the clients to ensure a tailor-made fit for the solution. Outside the office: When not creating IT solutions, Craig spends time with his wife and 2 children. What’s left of his spare time is spent, running marathons, playing league squash and fanatically supporting the Blue Bulls and Kings rugby teams. Passionate about: Craig is passionate about building fast, secure and resilient health technology systems that help doctors save lives every day. 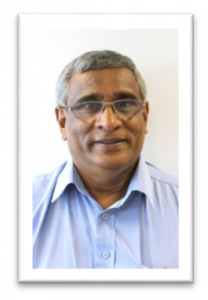 Dr Daya Appavoo Family Medical Practitioner and occupational medical practitioner for over 30 years. Director at Gompo Occupational Health Services. Board member and treasurer of Masimanyane Women and Children Support Centre. Convenor of the board of Hero’s Park East London. Innovator of new business. Daya has provided extensive consulting and advisory services for the TajEmo eHealth application, development and enhancements.